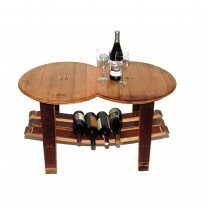 All hardwood construction with solid distressed white oak top. 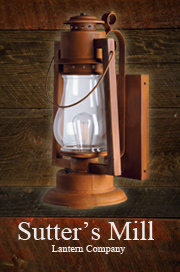 Stain color mission oak. Handsome fine handcrafted Old World table boasts an abundance of character and charm. 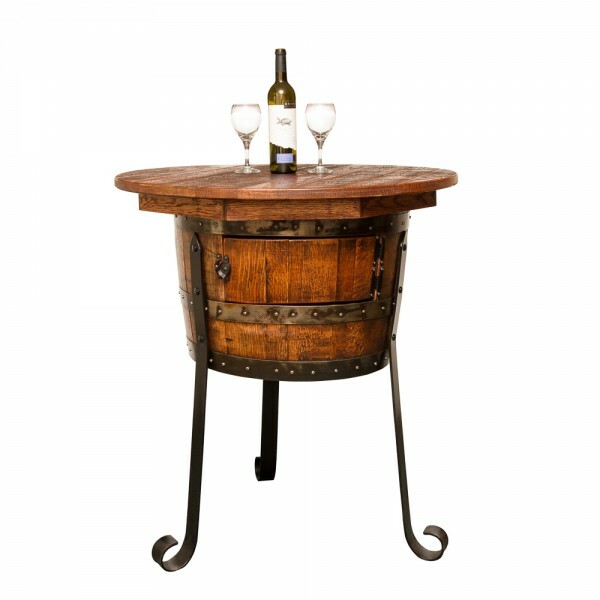 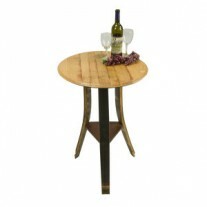 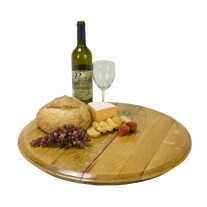 35″ In Diameter top is artistically crafted from solid distressed solid white oak. 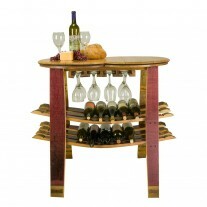 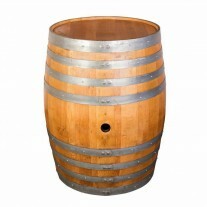 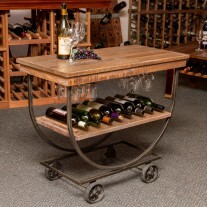 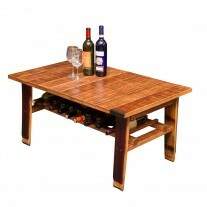 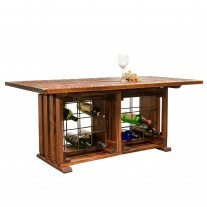 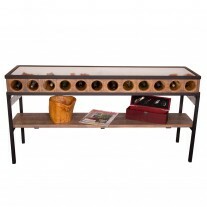 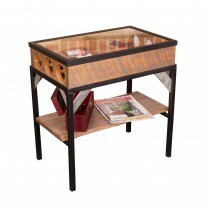 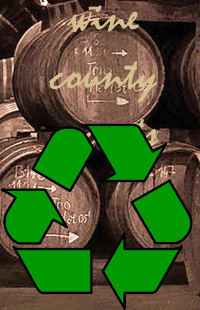 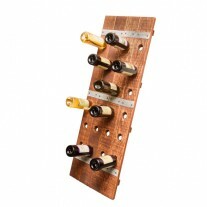 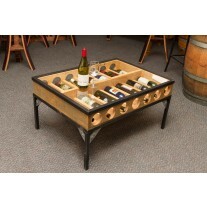 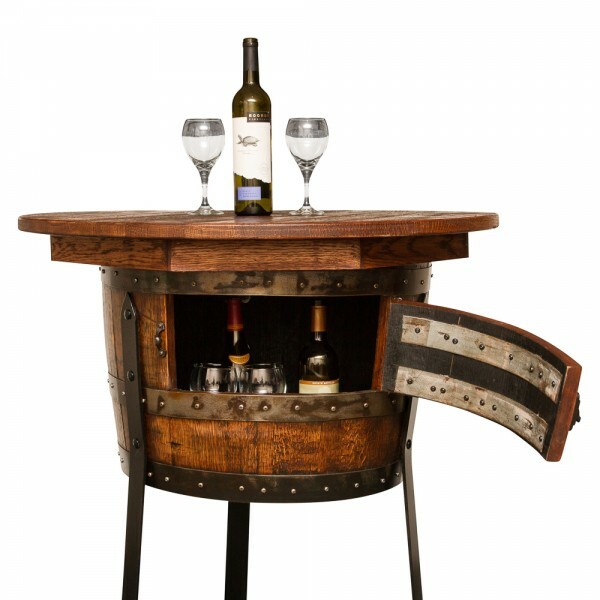 The base is constructed from a 1/2 wine barrel and has a hinged door with storage inside. 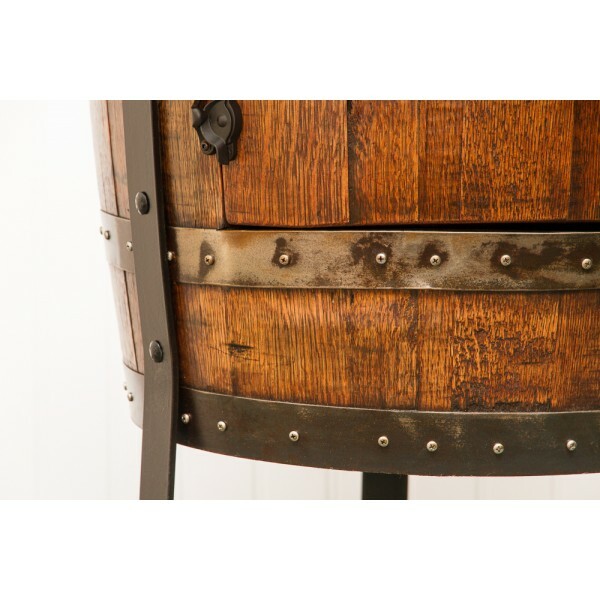 Table legs are 3/8″ thick by 2″ wide hand worked iron.